The Natural Cotton Color Group – NCC Ecobrands recently attended a meeting with the Brazilian Trade and Investment Promotion Agency (Apex- Brazil), in João Pessoa (PB). 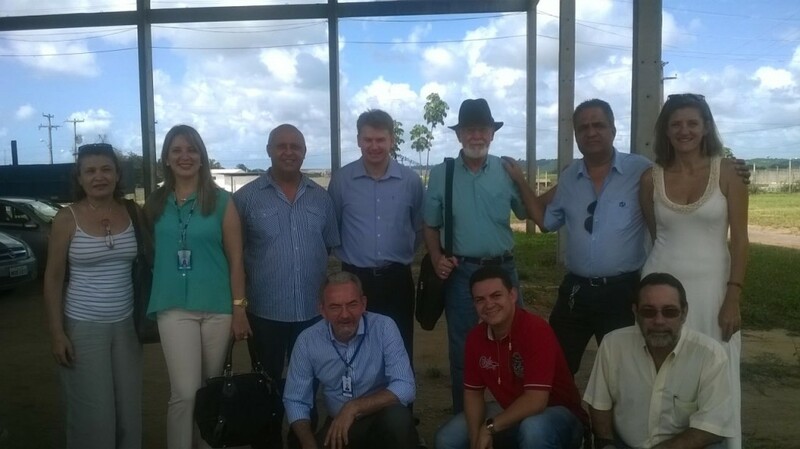 In order to reinforce the need to support the agency of the Federal Government to expand the NCC Ecobrands group in the international market, and at the invitation of Colored Cotton Committee of Paraiba, Claudio Borges and Tiago Terra, institution representatives, were between 6 and May 8 in the capital of Paraiba. On the 6th, were presented a video with information and statistics on the positive impact of the production chain of colored cotton in the local economy, reports on product development, in addition to distribution logistics data and details of some exports already made ​​to the United States, Europe and Asia. At the end of the day, Borges and Terra also visited the showroom of NCC Ecobrands group and praised one of the strengths of the brand: the creativity and sophistication of the product line that combines contemporary design with traditional craftsmanship. On the 7th, and visit the headquarters of Embrapa (Campina Grande) and exchange information with managers and researchers from colored cotton, they were still in the bags factory and accessories Casulo Arte Natural (NCC Ecobrands group). During the day’s schedule also they went to the field and checked the planting of colored organic cotton (raw material of group products) in the Margarida Alves settlement in Juarez Távora. Back to João Pessoa, on the 8th, the Apex representes visited Unitextil – colored cotton fabric factory – and still knew the works of SENAI Institute of Textile Technology and Clothing. At the close of the technical visit, the agency members were satisfied in knowing the productive chain of colored cotton and praised the organization of the Committee, in addition to glimpse new support. Let’s hope! Members of Apex- Brazil delighted with the production chain of ecological colorful cotton NCC Ecobrands group (in Paraiba). Photo: Agency technicians and representatives of Senai Paraíba visiting the knitting Unitextil. ← Cotton T-shirt has history. Did you know?